Couples smooch while one singer croons “Besame Mucho”, others grind their hips in a tight clinch to a steamy Bolero. The atmosphere is electric, with everyone tapping their feet or rapping their fingers to the pulsating Latin beat, leaping up every so often to dance on the street to their favourite song. The city boasts that it’s Mardi Gras Carnival rivals Rio or New Orleans, but in reality, carnival breaks out 365 days a year in Veracruz. But this is no normal tourist destination and Veracruz could be a milion miles away from the sanitised beaches of Cancun. Museums and monuments are few and far between here and Veracruz is all about eating, drinking and above all dancing, where the biggest decision is whether to just sit back and watch the daily fiesta or join in till the early hours of the morning with the fun loving locals, the “jarochos”. Veracruz was the first foot-hold of the Spanish on Mexican soil, where Cortes landed, scuttled his fleet of ships so his troops couldn’t desert, and laid the foundations in 1519 of “The Rich Town of the True Cross”. It was an apt name, as the port rapidly flourished as the conduit of riches between the Old and New World. Today, the vibrant, colourful local population is swollen by thousands of sailors from the country’s largest naval base and a cosmopolitan mix of merchant seamen from the busy port, while the city has always been a magnet for Cuban refugees who have flocked here ever since Castro took power. So Veracruz is as much Caribbean as Mexican, resembling decadent 1950’s Havanna caught in a time warp. The life and soul of Veracruz is its town square, the Zocalo. Two sides are bordered by grand colonial buildings, the baroque 17th century Palacio Municipal, the town hall, from which Bar Palacio takes it’s name, and an opulent cathedral. In the centre stands a lavish fountain surrounded by a lush tropical palm garden, while the rest of the plaza is lined by arched “portales” brimming with bars and restaurants. While there is salon inside the Bar Palacio, all the action takes place at the tables underneath the arched arcade looking out over the Zocalo. Tourists lucky to get a seat tend to order a Corona beer or a tequila, while seasoned “jarochos” crowd round a table cluttered with litre bottles of Presidente brandy, Havanna Club rum and huge bucket of ice. 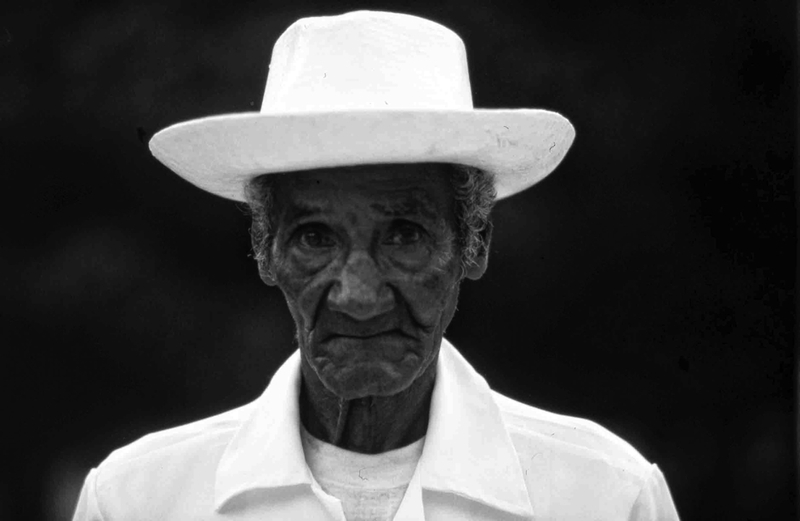 The Palacio has been open since the 1930’s – no one is quite able to give an exact date for its opening – and waiters like Maximo Daz and Alfredo Sosa have been working here for over thirty years, friends with all the local clients. One family of regulars comes here once a year and place a small wooden box on the table, then order a round of drinks, including one placed by the box. It contains the ashes of the family’s grandfather whose last wish was to bring him here each year for a tequila. The bar serves dozens of different tequilas – ‘Tradicional’, ‘Jimador’, ‘Julio Reposado’, ‘100 Anos’ – and after midnight, when the atmosphere gets really lively, there is lots of demand for cocktails like margaritas, pina colada, mint julep and the bar speciality, Torito Veracruzano, a lethal rum punch. On some nights at the Bar Palacio over 200 different groups of musicians tour the tables selling songs for 10 or 20 Pesos each. It all looks totally anarchic, but actually everything is tightly controlled by the local Musician’s Union who organise a shift system. 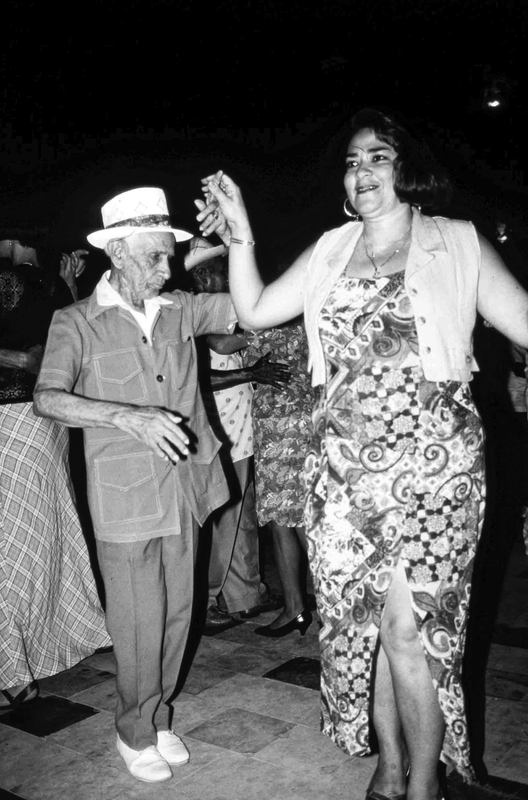 There are the “Coloniales”, whose blind accordionist plays a mean Merengue, the “Mocambo Salon Band”, dressed in brightly coloured shirts, while Felipe Hernandez Martinez, a giant of a man crouched over his marimba – itself a giant wooden xylophone – pounds out a pulsating salsa number. There are noisy groups of Mariachis, swinging ‘Nortenos’ bands from the Texas border, and some musicians who just perform alone, plucking a haunting tune on the tiny traditional Vera Cruz harp, or a yukele-style guitar called the ‘”jarana”. They invariably propose ‘La Bamba’, the most famous local song, which sounds a good deal better than the Americanised Richie Valens version. Three nights a week see the ritual of the ‘Danzon’. A big band sets up in the centre of the square, lines of chairs are laid out and quickly claimed by hundreds of impeccably dressed “jarochos”, from 15 year olds to 90 year olds. At 8.00pm sharp the slow sensual dance of the “Danzon” begins, and the whole Zocalo is filled with couples, swirling sexily around as if they were glued together. Style is taken seriously here. The men wear wide-brimmed Panama style hats, a white plaid shirt outside tightly flared white pants and white Cuban-heel boots. The women drip gold jewellery, squeeze into tight figure-hugging dresses, flutter elaborate lace fans, and have the most incredible blood red lipstick. Music is just part of the non-stop cabaret for customers sitting outside Bar Palacio, as there is a steady stream of hawkers who stop and chat to you, somehow without ever really hassling. Indiginous tribeswomen, fervent Christian converts, sell carved religious figures, you can get your shoes shined, buy a lottery ticket, a hammock, hand-rolled cigars, jewellery or even an instant spray from a bottle of Eau de Cologne. Someone proposes a game of Noughts and Crosses, for a price, while the wierdest offer comes from a man with a surreal contraption that apparently gives you an electric shock for 5 Pesos. The Bar Palacio closes late, well after 3.00 am and shutters up till lunchtime, so in the morning, emerging in the hot morning sun, the obligatory first stop is for a “lechero”, milky coffee, and brioche at the city’s legendary 180 year old Gran Café de la Parroquia, preferably at a shady table beneath a gently whirring fan. Don’t be surprised if the waiters ignore all efforts to order anything, because they only respond to the tradition of tapping your empty glass with a spoon, then arriving immediately with two steaming kettles, one with coffee, the other hot milk. The Parroquia dominates the Paseo del Malecon, the long boardwalk that lines the harbour. Tiny boys spectacularly dive into the water to recover coins thrown in by tourists, while old men cut out, then paint discarded scraps of polystyrene, transforming them into multi-coloured kites. When its time for lunch, it is tempting to just head for the Fish Market, where dozens of stalls serve giant shrimps, grilled fish and huge bowls of ‘coctel de mariscos’, with everything from oysters, crab, octopus, clams and prawns mixed in a tangy Tabasco “salsa”. Vera Cruz has one of the most renowned regional cuisines in Mexico, and for a really memorable meal, the one dish to order is ‘Huachinango a la Veracruzana’, a giant red snapper, smothered in a delicious sauce of tomatoes, onions, garlic, olives, peppers and several deadly ‘chiles’. But to soak in this city’s atmosphere, it is difficult to beat the Salon Familiar Tiburon, the Shark’s Restaurant. 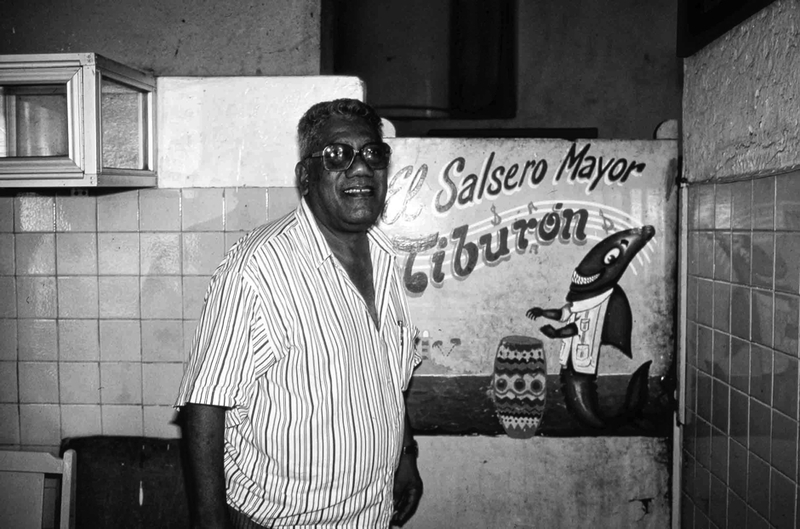 The silver-haired Tiburon Gonzales is a living legend in Vera Cruz, the King of the Carnival, and the walls of his “cantina” are lined with cups, prizes and faded black and white photos of The Shark – “Il Salsa Meteor” to give him his full title – in each year’s Grand Parade accompanied by a bevvy of Mexican and Cuban actresses, singers, beauty queens and dancers. Wandering out after a meal at Tiburon’s, and the unmistakable sounds of mambo and merengue are yet again coming from the nearby Zocalo. It is time to head over to Bar Palacio to be sure of getting a good table beneath the Portales before the “jarochos” arrive, dressed to kill, ready for another night’s fiesta.